Pollinators play a critical role in agriculture and our ecosystems. They transfer pollen between flowers while visiting a plant for food, mates, shelter and nest-building materials, leading to fertilization and successful seed and fruit production for plants. They are responsible for an estimated one out of three bites of food that people eat according to the National Garden Pollinator Network. Be proactive when you are designing your garden by adding pollinator friendly annuals or perennials to your plan. 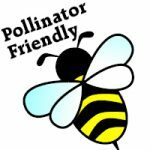 Join the Million Pollinator Garden Challenge by “planting for pollinators” and increase pollinator habitats in urban, suburban and rural areas. Our president Wayne Gale sits on the board of the American Seed Trade Association (ASTA) which is a founding partner of the Million Pollinator Garden Challenge. Below are flower varieties that fellow pollinator friendly gardeners have had excellent success with. Remember, everyone can make a difference!